Johannes received a Master’s degree in physics from the University of Vienna. At ETH Zurich he conducted a PhD in the Wallraff group for which he was awarded the ETH Medal in 2010. After a PostDoc at ETH he became an IQIM Postdoctoral Scholar and a senior staff scientist in the Painter group at the California Institute of Technology. 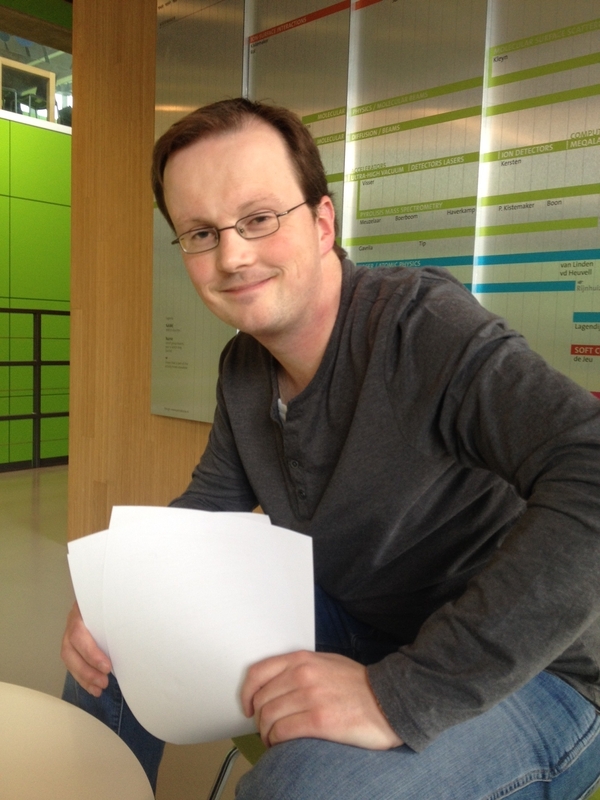 In January 2016 he started the Quantum Integrated Devices laboratory at IST Austria. Alfredo finished his bachelor at the Pontificia Universidad Católica del Perú and he did his Master in Physics at the Friedrich Alexander University Erlangen-Nürnberg. His master thesis was about the proof of Born’s rule using second order correlation functions. In 2018 he finished his Ph.D. at the Max Planck Institute for the Science of Light in Erlangen, in the field of electro-optical frequency conversion using high-Q whispering gallery mode resonators. Farid graduated with a master of electrical engineering from K. N. Toosi University of Technology in Tehran under the supervision of Dr. Farshid Raissi. In his master thesis he investigated the exponential behavior of the I-V curve in high Tc superconductors by introducing a new mechanism for vortices and anti-vortices, which was published in Applied Physics Letters in June 2014. After graduation, he joined Dr.Raissi’s team to work on fabrication of superconducting circuits based on Nb/AlOx/Nb Josephson junctions technology. Farid joined IST as a PhD student in September 2017. Mariia Labendik (MA PhysTech, Moscow), Characterization of a Josephson Parametric Amplifier, Summer Research Intern, 2018. Alex McKeehan (BA Stanford), Tunable dipole coupling of transmon qubits, Summer Research Intern, 2018. Alfredo Rueda (PhD MPL, Erlangen), Efficient Microwave to Optical Conversion with Lithium Niobate WGM Resonators, Visiting PhD Student, 2016 – 2018.
simulation of fiber-to-waveguide coupling, Research Intern, 2018. Andrea Trioni (BA Politecnico di Milano), Fabrication and Characterization of geometric Superinductors, Master Student, 2017 – 2018. Joshua Milem (BA Michigan State University), Digital Downconversion and Spectroscopy with VIP, IST Rotation Student, 2018. Dylan Lewis (MA Oxford University), Microwave quantum state tomography with VIP, Research Intern, 2017. William Hughes (MA University of Cambridge), Modelling of geometric fluxonium and phase slip qubits, Summer Research Intern, 2017. Donald Swen (double BA, Willamette University, Oregon and Columbia University, New York City), Designing Slotted Photonic Nanobeams with High Quality Factors and High Optomechanical Coupling using MATLAB/COMSOL LiveLink Scripting, Summer Research Intern, 2017. Nikolaj Kuntner (PhD, German Aerospace Center), QuantumIDs’ Python virtual instrument panel (VIP), Software Developer, 2016-2017. Mike Hennessey-Wesen (BA McDaniel College, Maryland), Determination of Noise Temperature and Gain in Cryostats, IST Rotation Student, 2017. Jason Jung (MA TU Vienna), Implementation of a Dual-Channel Waveform Digitizer for Time-Resolved Superconducting Qubit Measurements, IST Rotation Student, 2017. Tobias Bilgeri (MA UPMC Paris), Design and testing of an automated microwave carrier cancellation board, Summer Research Intern, 2016. Pradyumna Paranjape (MA LMU Munich), Finite element design and optimization of acoustic and photonic devices, Summer Research Intern, 2016. Andreas Butler (BA University of Virginia), IQ Upconversion and Downconversion for Control and Measurement of a Superconducting Qubit, Summer Research Intern, 2016. Matias Iglesias (MA Universidad de Buenos Aires), Compact Circuit QED on Silicon, Summer Research Intern, 2015.